Explore extraordinary ruins in this mystical Adventure game! 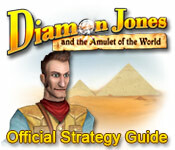 Use our Strategy Guide to help Diamon Jones become the rich and famous hero he wants to be, as you explore the Pharaohs` temples and find incredible treasures. Travel all over the world on your incredible journey to first find the Amulet of the World, and then replace it, when the natural order of the world has been upended. Can you help Diamon Jones save the world? 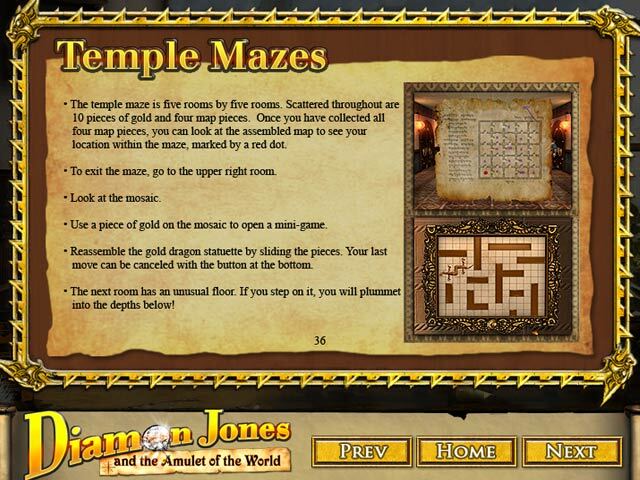 Help Diamon Jones return the Amulet of the World to the sacred temples of Egypt. Get tips and advice from this Strategy Guide!